TOLEDO OH (1-21-09)--Ken Butler III finished tenth in the 2008 ARCA RE/MAX Series point standings driving for Eddie Sharp Racing and his headed to the NASCAR Nationwide Series for 2009. KB3 is today's featured driver. 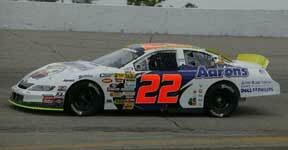 Driving for Eddie Sharp Racing, finished career-best 10th in ARCA RE/MAX Series driver points 2008. 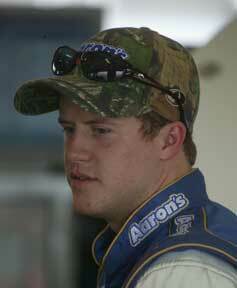 In 32 career series starts since 2007, has 10 top-10 finishes including 1 victory at Toledo Speedway '07. Also finished 4th at Kentucky Speedway '08, 6th at Nashville Superspeedway '08, 7th at Pocono Raceway '08, 7th at Kansas Speedway '08, 7th at Iowa Speedway '08, 7th at Michigan Int'l Speedway '08, 7th at Michigan Int'l Speedway ‘07, 9th at Berlin Raceway ‘07, 11th at Pocono '08, 11th at Toledo '08, 11th at Nashville ‘07, 11th at Salem Speedway ‘07, 13th at Springfield mile-dirt '08 and 14th at Toledo ‘07. Pole Award winner at Kansas '08 and at Nashville '08. Also qualified 2nd at Kentucky ‘07, 2nd at Toledo '07 and 3rd at Berlin '07. Has led 66 laps in 3 races. Veteran of USAR Pro Cup Series, ASA and Pro Challenge Series late model competition. Graduate of Richard Petty Driving Experience and Buddy Baker's Speed Tech. Each day in the month of January, arcaracing.com will feature ARCA RE/MAX Series drivers who were honored at the 2008 ARCA RE/MAX Series Championship Awards Banquet. Check arcaracing.com each day for up-to-date biographical information on the featured driver, a photo gallery containing select images of the driver from the 2008 race season, and a video clip of the featured driver.